Who is it? A feeling of restlessness and a desire to talk about her experience of living in London and looking back to India motivated Bangalore-born, London-based Spandana Gopal to leave a successful career in art management to launch the design studio Tiipoi, five years ago. Tiipoi takes design ideas found in food, craft and manufacturing in India reinterprets them into modern products for the home, which feature a contemporary feel, natural materials, simple, functional forms and colour palette of muted and bright tones. The studio’s Katha range of blankets and cushions, which features kantha stitching traditionally used to make bedding, demonstrates its modern approach craftmaking; instead of being hand-stitched it is made on a machine, ensuring ethical manufacturing and highlighting the functionality behind the craft. Why do I want it? 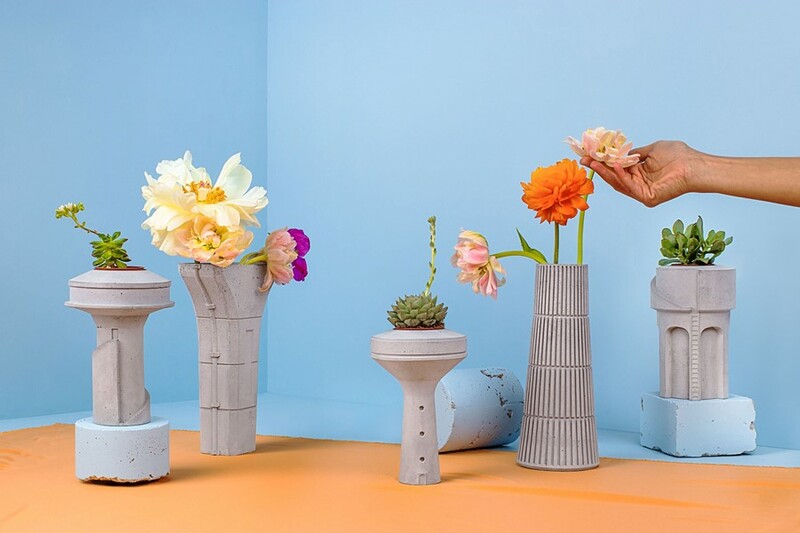 Brutalist architecture and nature collide in Siment, Tiipoi’s new range of concrete vessels, which launched during the 2018 London Design Festival at the twentytwentyone store on River Street. 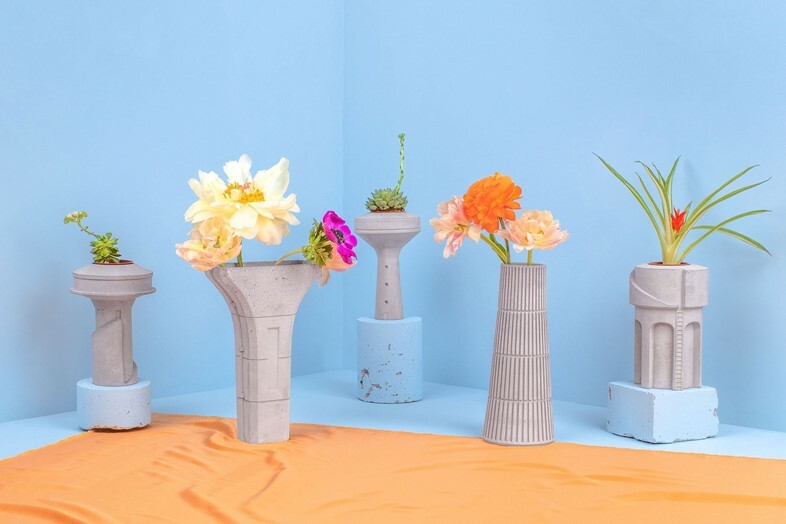 Modern-day urban infrastructure found in Indian cities is the inspiration behind the collection, which features three mini planters based on water towers and two vases which take the form of Metro flyover pillars. Providing a truthful insight into the look of cityscapes in India and celebrating the tendency of its people to adorn utilitarian items, Tiipoi reimagined these structures as functional decorative objects, creating miniature versions of the original forms complete with pipework, ladders and structural rigging. According to Gopal, Tiipoi became fascinated by India’s water towers and started photographing them, struck by how their strange, giant shapes dominate the urban landscape. Built by the Public Works Department, “no two structures look the same and they have been painted different colours,” said Gopal. 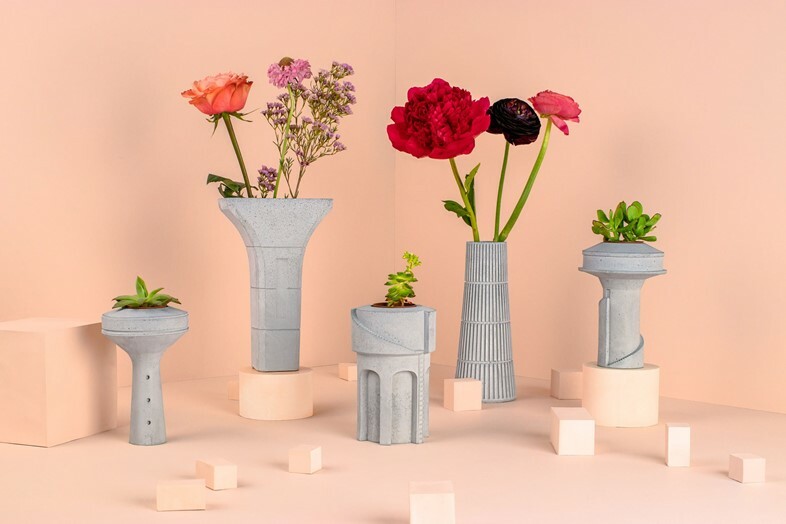 It is apt that the collection is named Siment – not just because it is a Hindi word for ‘cement’, which is what concrete is known as in India – but because the material has cultural significance. Concrete was first used extensively in building construction in the 1920s, and today it is bought and sold like a food commodity, and advertised on television and billboards by Bollywood stars and other famous names. Where can I find it? Twentytwentyone, SCP, OPUMO, Clippings and Such & Such.